Nest has a brand new security camera in their line-up, taking its place alongside the Nest Cam and Nest Cam Outdoor. 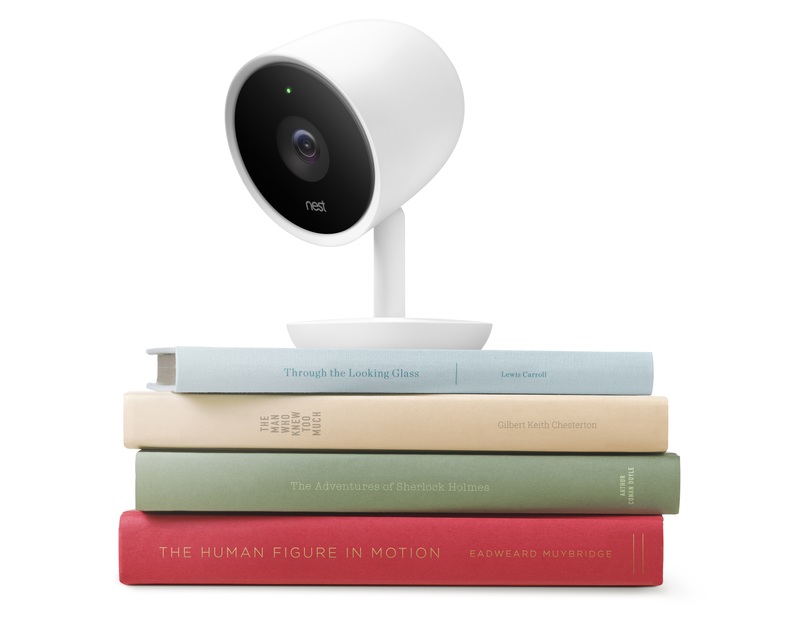 The new member of the family is the Nest Cam IQ, a camera that takes its design cues from the Nest Cam Outdoor, but is made for indoor use and has new, smarter built-in capabilities that benefit from its high-resolution 4K video sensor to pay better attention to those situations where you need it most. The Nest Cam IQ has a 4K video sensor for capturing footage, but it isn’t using that additional resolution to provide you with really high quality footage of your cat wandering around your living room while you’re at work. Instead, it generally grabs 1080p footage, and it’s intelligently using its 4K capabilities when it needs them most – when it detects something unusual is happening, like a stranger entering your home for instance. 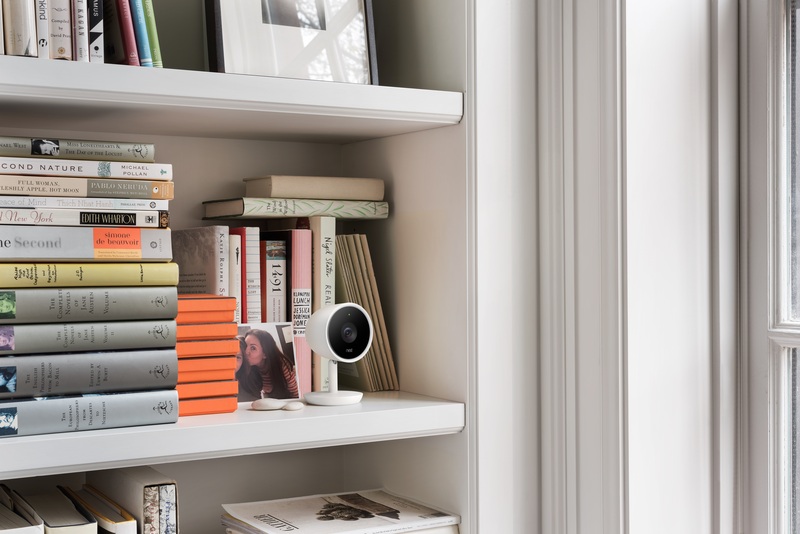 When something like that happens, the Nest Cam IQ will identify that there’s a person present within its visual range, and then can trigger an automated alert that includes a custom-captured zoomed in photo. Plus, with a new feature called “Supersight,” while you’re checking in on the app to get a live view of the Nest Cam IQ’s feed, you’ll get a picture-in-picture inset of any people in frame tracked close-up, in addition to a 130-degree wide-angle look at the whole field of view the camera can capture. Nest’s team showed me this in action during a preview demo, and it worked amazingly well; while the person the Cam IQ spotted initially appeared relatively hard to identify, once it automatically realized it was a person and narrowed on the face for closeup tracking, it was easy to make out identifying details. It follows the person as they move, too, keeping the face in frame and in focus throughout the capture, which is obviously very helpful should you unfortunately ever need to make use of the footage afterward for reporting a crime to the authorities. The Nest Cam IQ is basically performing a ‘zoom and enhance’ feature ripped right out of Star Trek here, but the trick is that it’s using the full power of a new 1/2.5-inch, 4K sensor whenever it detects a person that would prompt its use. You can also zoom in and get a better look at details in the scene, including, as demonstrated in our walkthrough, being able to read the title of a book printed on a hardcover spine. For Nest Cam IQ, Person Alerts come standard, meaning it’ll send you notifications and a zoomed in pick whenever it picks up a person in its filed of view. Person Alerts are still available for older-gen hardware, albeit without the benefit of added resolution, and only for Nest Aware paying subscribers. Meanwhile, Nest Cam IQ owners get more features with a Nest Aware subscription, including the ability to identify and remember family members and trusted familiar faces vs. unknown individuals, and the ability to intelligently decipher audio cues including talking people or barking dogs. Audio alerts are also being made available to Nest Cam and Nest Cam Outdoor owners via Nest Aware. Meanwhile Nest Cam IQ gets other hardware upgrades, including improved infrared LED emitters, which are invisible at night (rather than glowing red) because they’re higher quality units. The camera now also has speakers that are seven times as powerful as those in the original Nest Cam, and there’s a three microphone array onboard to offer up better background noise suppression and to help cancel out echoes. 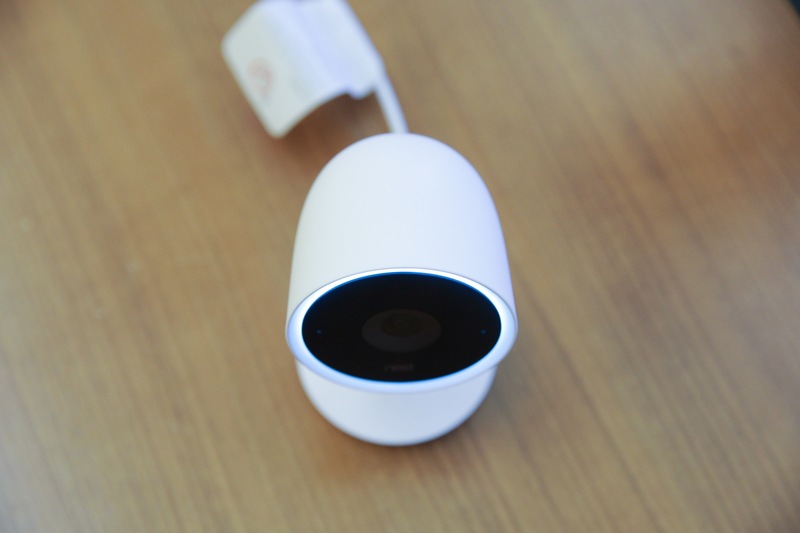 The hardware design upgrade is also significant, with an outer multicolor LED to let you know exactly when Nest Cam IQ is active, and with a new body design consisting of a weighted base and a no-tool tilting head that’s pleasantly easy to adjust, but will also stay put once you orient it in the direction you’d like it to point. Nest Director of Product Marketing Maxime Veron also explained that Nest Cam IQ has room to grow in terms of processing power it’s packing on board for future intelligence updates, and Nest fully intends it to be something that gets better with future software features. Nest Cam IQ is coming in at the top of Nest’s security camera lineup price-wise, which makes sense given its improved capabilities. It’s available for pre-order in the U.S. now, and will cost $299, or $100 more than the Nest Cam and Nest Cam Outdoor. A two-pack will save you $100, and runs $498. Nest Cam IQ will launch pre-orders in a number of other markets shortly, and is expected to ship starting at the end of June.